(6/17/2011) Erate Exclusive - Looking to level the rocky playing field in today's housing market? You can't just "Google it." In an unprecedented housing market with so much turbulence, you need all the help you can get. Luckily, it's right at your finger tips. Mashable's "20+ Tools to Survive the Real Estate Crisis" gave us the idea, but we found some of their picks thin on viability or a bit dicey. So we sharpened the focus and added our own picks to help you not just survive, but thrive during the real estate crisis. Here's Erate.com's "Dirty Half Dozen Ways to Buy or Sell in Today's Housing Market From Hell." We have to toot our own horn. Around since the dawn of the World Wide Web, Erate.com offers financial and interest rate information specifically targeted for use by the consumer. And check out the latest news from, ahem, the "News that really hits home!" factory. Also see: "Home Sweet Apps let your fingers do the walking through the housing market" to learn why the Erate's mortgage app is the top mortgage app to tap. Houselogic.com, perhaps the most engaging portal for housing information, is a unique compilation of interactive resources from the National Association of Realtors (NAR). Hitting the information nail on the head, HouseLogic.com helps consumers plan and organize and make wise decisions about a host of homeownership issues, including home improvements, finances, taxes, insurance, even neighborhood issues, homeowner association life and green living. The leading "FSBO" (for sale by owner) site, ForSaleByOwner.com recognizes, now, more than ever, that in the time it takes for you to sell your own home without a real estate agent, you'll have to muster the same experience it takes a professional agent years to accomplish. The site gives you the tools to make it so. The site also offers access to listing your property on Realtor.com, the foremost listing site. Also consider Owners.com, one of the first such sites for the brave enough to sell their own home. Also now more than ever, homebuyers struggling to get financing, straining to compete with investors or just choosing to sit on the fence until help arrives, need someone in their corner. Exclusive buyer agents represent the buyer and only the buyer, avoiding the conflicts of interest that come with dual agency -- when the agent or broker represents both the buyer and seller. 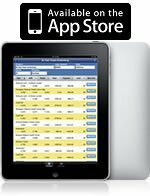 For the iPad, iPhone, iPod Touch, Android and Windows 7, The Realtor.com Mobile App plugs into the mother of all real estate search engines, Realtor.com, and its nearly 3.5 million listings. Take it for a ride in your car and, as you tour your home shopping area, the app's map follows your route, dropping listings from the sky, continuously pinpointing homes for sale all along your route. Likewise, finger draw a circle, square, custom boundary or a line down a single street to designate areas of interest and watch more listings rain down. Offering social networking and other connectivity features, the app is also major eye candy for digital looky-loos and real estate enthusiasts who want to be connected to the world of real estate just as movie freaks, tech geeks and purveyors of government leaks use apps to connect. The Swiss Army knife of online real estate tools, HomeGain connects home buyers and sellers with real estate agents, home values, homes for sale, marketing tools and more. You can anonymously vet real estate agents, generate an agent interview worksheet, create a homebuying checklist, obtain neighborhood data, check recent home sales, compare mortgage rates, calculate your housing options and still not exhaust the full list of available features.